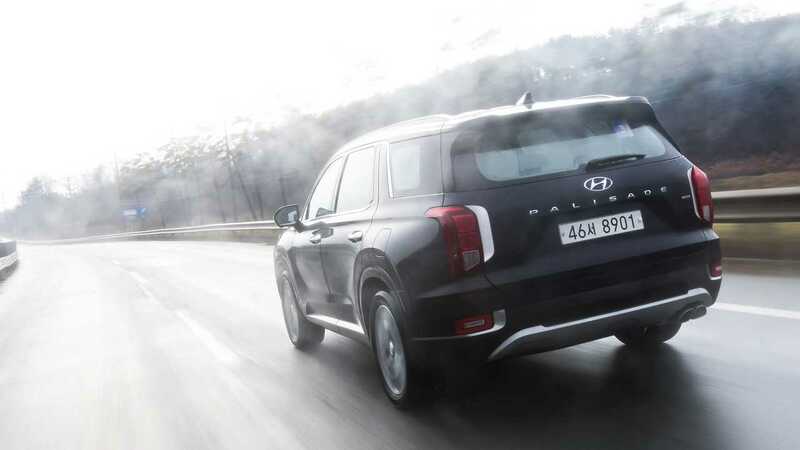 An automotive renaissance is taking hold in South Korea, and the 2020 Hyundai Palisade flagship crossover is yet further proof of this. 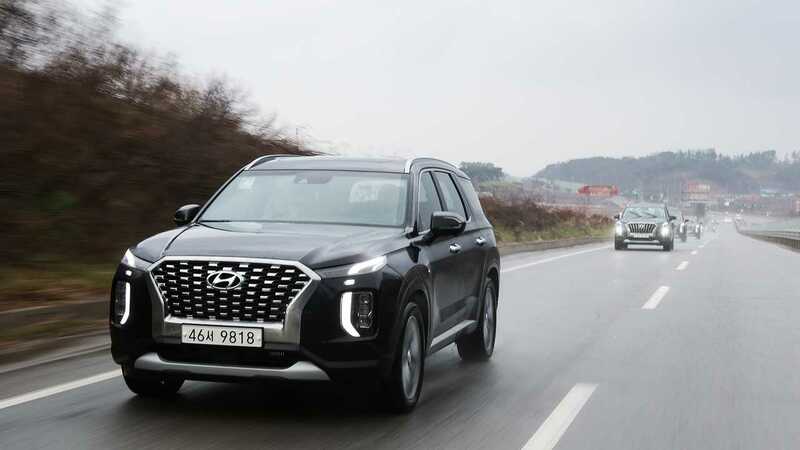 Playing to a market with a ceaseless appetite for crossovers and SUVs, Hyundai is adding its largest and most premium crossover yet to its lineup, and we’ve just driven a prototype ahead of the Palisade’s market launch next summer. ⠀ 2017 Hyundai Tucson Limited | Why Buy? Our test vehicles were Korean-spec with a diesel-drinking 2.2-liter four-cylinder engine underhood that’s good for just shy of 200 horsepower and 322 pound-feet of torque. But that engine won’t come to the U.S. Instead we’ll get a more market-appropriate gas-powered 3.8-liter V6 engine that produces 291 hp and 262 lb-ft of torque. 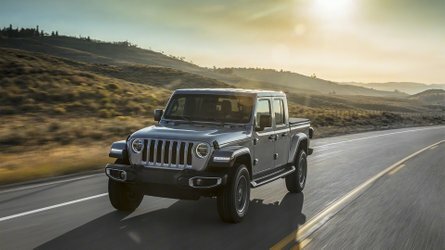 All engines will be paired exclusively to an eight-speed automatic transmission with front-drive standard and all-wheel drive available at every trim level. 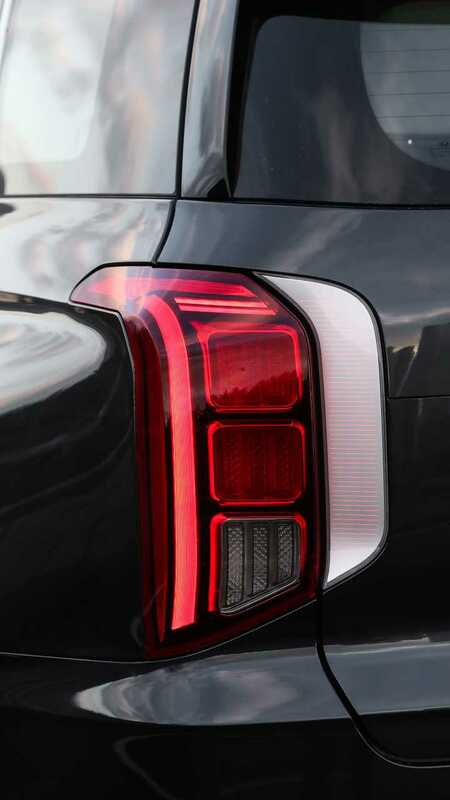 We can’t tell you about the performance impressions of the gas engine, but we can tell you quite a lot about everything else that makes the Palisade tick. For starters, the Palisade is absolutely stunning in its top-tier Limited trim. 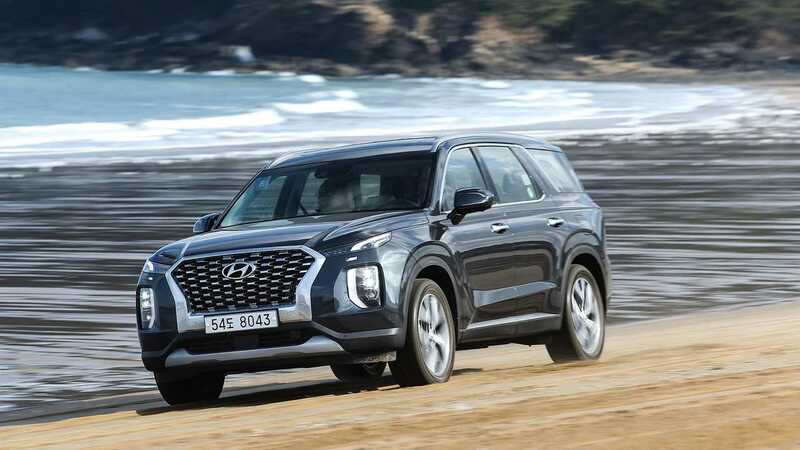 It’s not easy to make a big, three-row seven- or eight-passenger box on wheels look attractive, but, to us, Hyundai’s biggest vehicle is packed with allure (although styling is notoriously subjective). 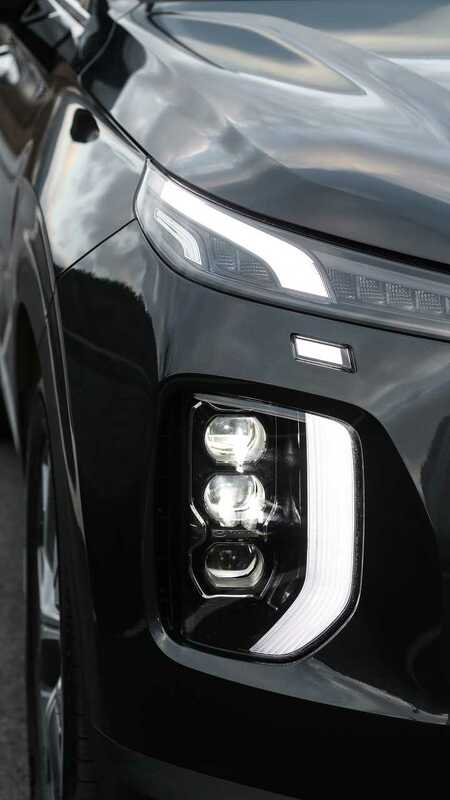 Massive vertical LED running lights make a bold first impression. A large, prominently-framed cascading grille is a draw to the eyes. 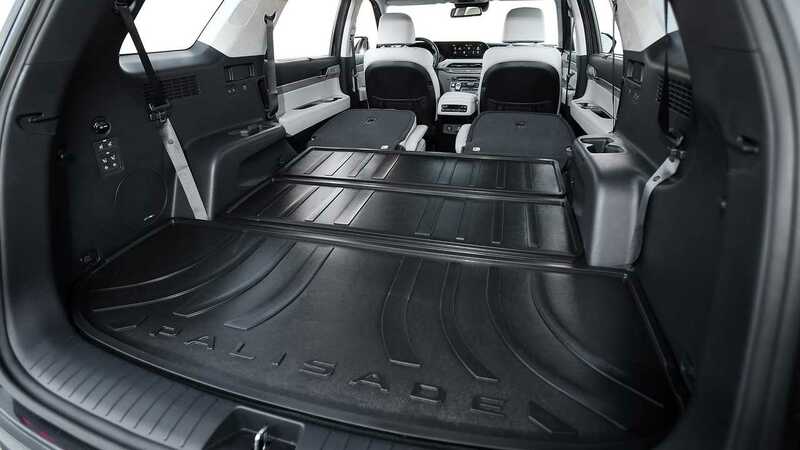 There’s a grand stance and heft to the Palisade, as well, and it’s built on a new platform shared with the Kia Telluride. We spoke with Hyundai’s chief designer, Sang Yup Lee, who emphasized that the brand’s days of making nearly identical looking, pick-a-size crossover SUVs is over. 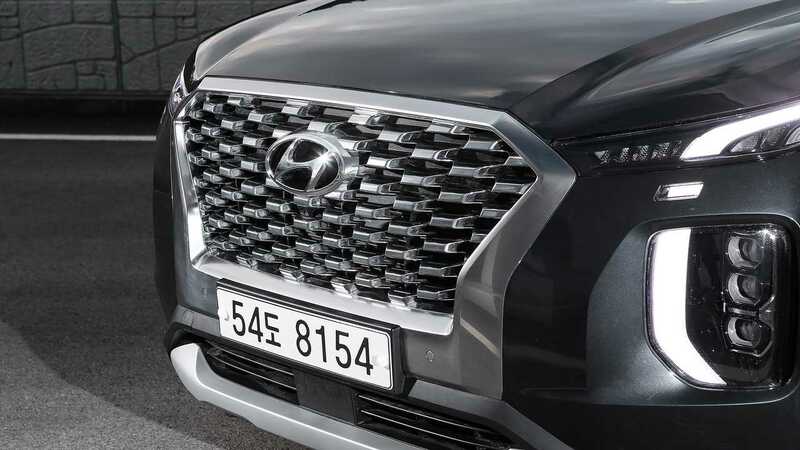 He acknowledged that Hyundai fell into the same trap as German luxury automakers, with the brand wanting to establish an easily recognizable face for all of its vehicles. 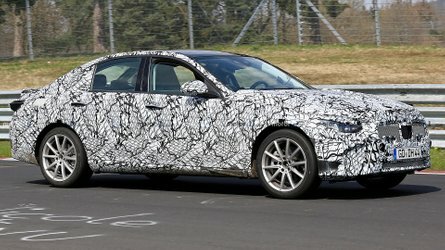 Perhaps sensing consumer fatigue, Lee and Hyundai’s other designers said we can expect the brand’s future products to each have a unique style and character. Thank goodness. Your move, Germany. 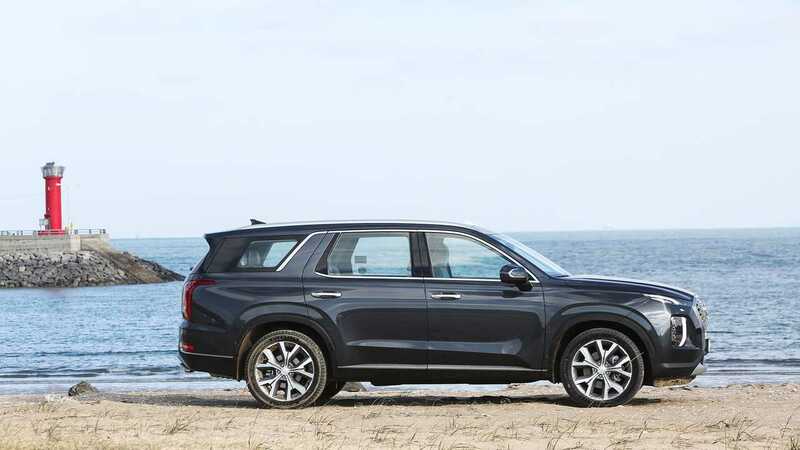 That sentiment already seems accurate, as the Hyundai Kona subcompact crossover SUV, Elantra compact sedan, and Veloster N hot hatchback we drove this year bear only a small familial resemblance to the Palisade and each other. Lee said that Hyundai is looking to expand the breadth of its portfolio, as well as to fill out segments that it wasn’t previously playing in. 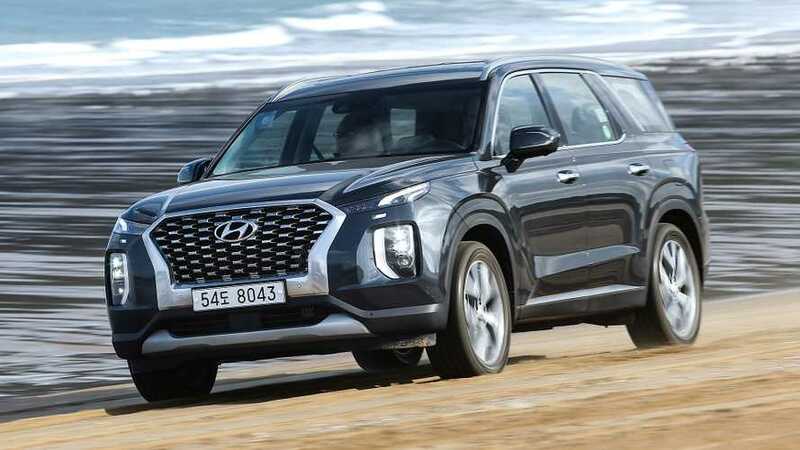 Hyundai is looking to expand the breadth of its portfolio, as well as to fill out segments that it wasn’t previously playing in. We set out on a variety of driving environments in South Korea over the course of two days, first starting out with some city and highway driving. Shortly before we set out it began to snow, and it continued throughout the morning as we made our way south from Seoul. The ride was drama free, and the Palisade felt competent and composed in the slush. 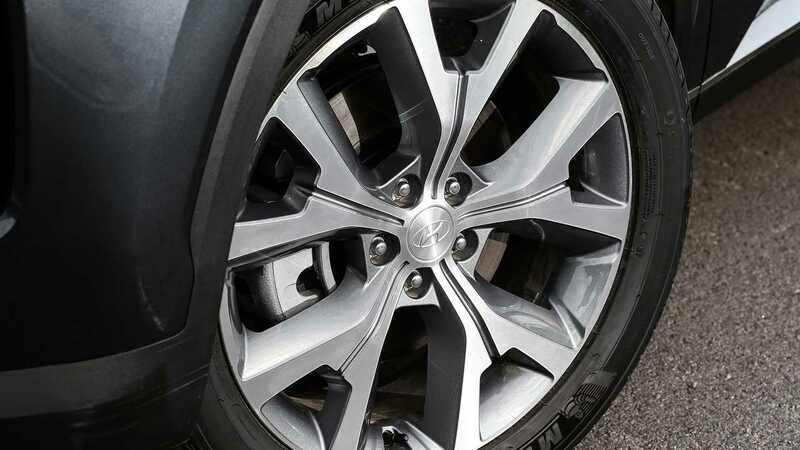 One particularly nice feature of the full-size Hyundai crossover is the side-rear camera view that appears between the speedometer and tachometer during lane changes. The feed is engaged with a flick of the turn signal, just like Honda’s LaneWatch system. 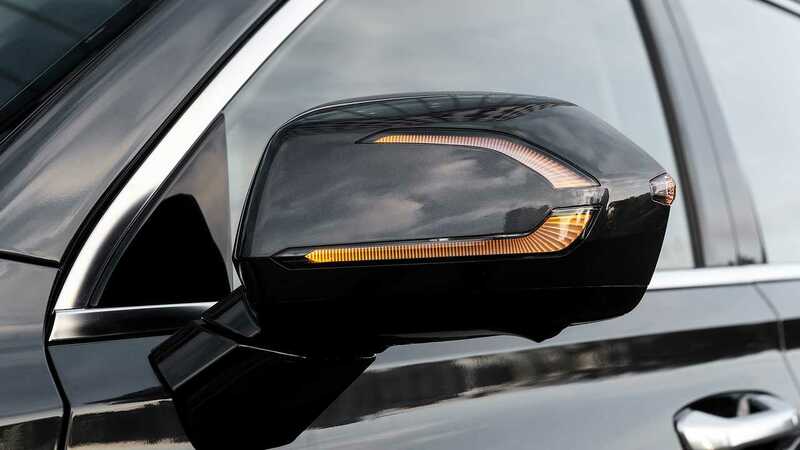 But unlike the Honda setup, which takes the place of blind-spot monitoring, the Palisade’s camera works in conjunction with the blind-spot monitor. It’s really helpful and allows you to look straight-ahead when changing lanes. The cabin was a quiet and serene place as we cruised down the highway. It’s worth noting that Hyundai has massaged its 2.2-liter mill to sound like a gasoline engine. Inside the cabin, there’s essentially no diesel whir, and it’s only when you’re outside of the car that the engine gives itself away. The transition between gears is seamless, smooth, and almost immediate. 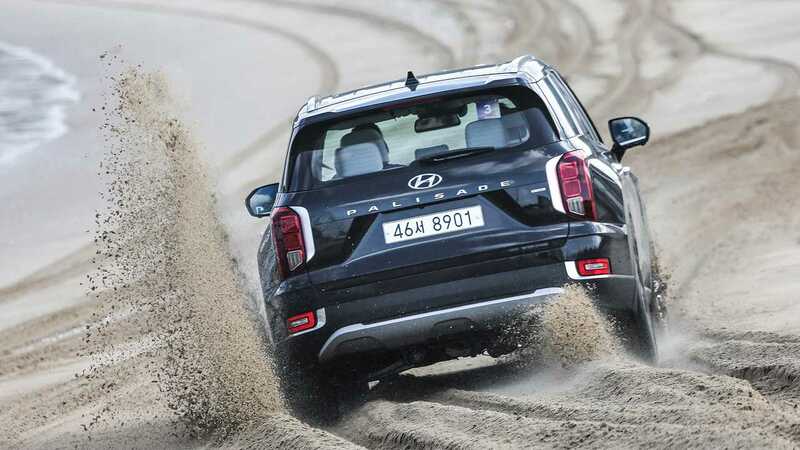 Despite the size of our family haulers, Hyundai had us tour its proving grounds and push its newest SUV through a series of exercises, including a slalom. While it’s unlikely anyone will be driving the Palisade in this manner, we’d be forgiven for thinking we were in a sports sedan, or something much lower and lighter than this three-row brute. 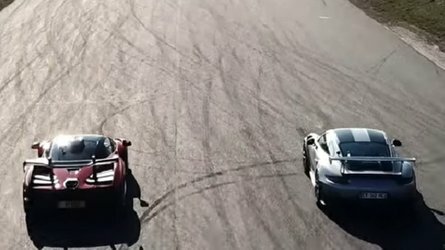 Under duress, the ride was planted with minimal body roll as we pushed it through the proving grounds’ quick switchbacks and handling course. Perhaps more relevant to the Palisade’s mission was the light off-roading we did in the mountains near Seosan the following day. We don’t expect Palisade drivers will actually do any serious off-roading, but it’s comforting to know the crossover is capable of handling varied terrain. 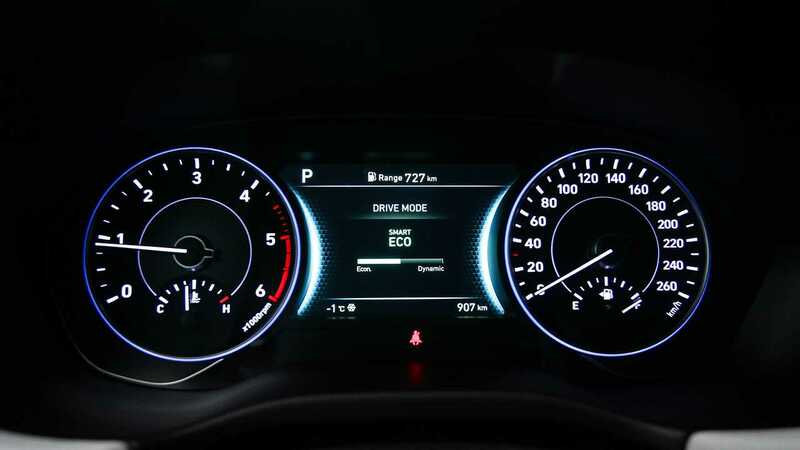 In addition to its four drive modes (Comfort, Eco, Sport, and a Smart mode that senses the best setting for current conditions), the Palisade also sports a “Terrain” button on its mode selector dial. 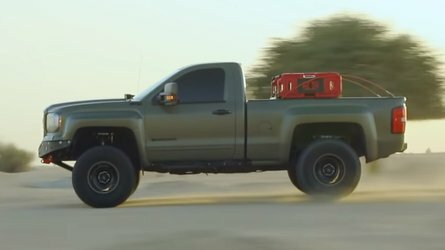 The three terrain modes include Snow, Mud, and Sand. We didn’t use the Snow mode while we were in the snow, but we did get to test out the Sand mode. After the mountain climbs, we descended onto sandy beaches – an odd place to be in temperatures that were well below freezing. Still, it allowed us to push the Palisade through soft sand; kicking its tail out for good measure. Later, while passing through blue-tiled roof villages (a nod to the Goryeo period a millennium earlier, when blue ceramic tiles signified wealth), there was a serene tranquility both outside and inside of the Palisade. 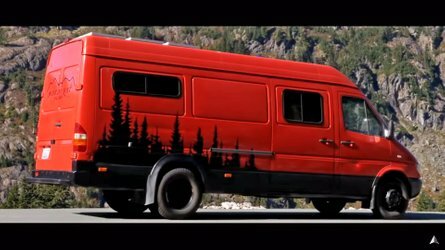 While the exterior opts for a vertical look anchored by massive DRLs, the interior takes a horizontal approach to things in order to emphasize the feeling of roominess and width. Overall, the aesthetic is modern, cohesive, and much more premium looking and feeling than expected. 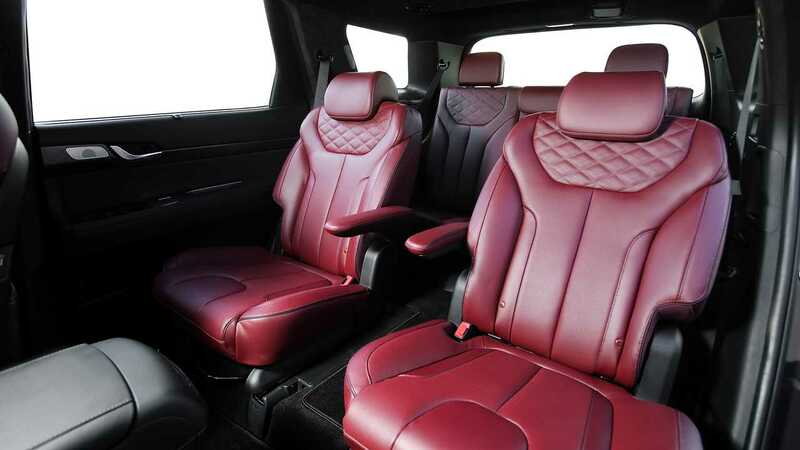 There are clear signs of influence from the German luxury automakers: the center stack and quilted and stitched seats borrow heavily from Mercedes-Benz and the doors crib cues from BMW. There’s a faux-wood plastic, though, that reminds us that we’re not actually in a luxury marque’s automobile. Perhaps Hyundai is making sure an adequate gap exists between the Palisade and the forthcoming Genesis SUV. The cabin is also well-thought out, with a family in mind. 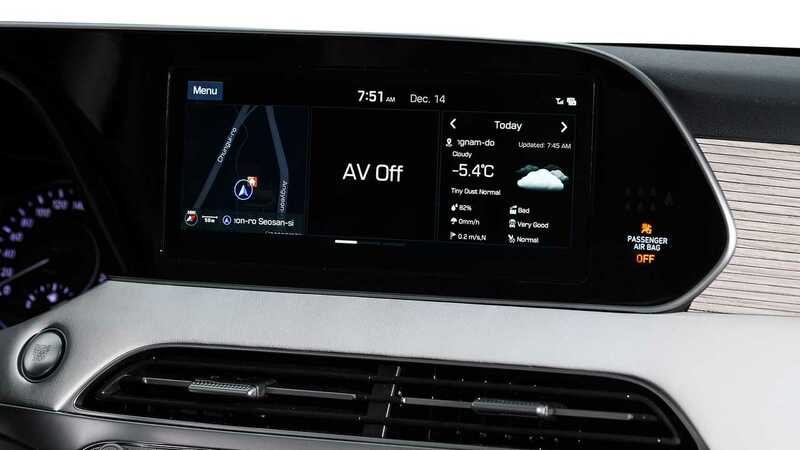 A 10.3-inch infotainment system displays attractive color graphics, and the backup camera has a clear picture and high-resolution. With shift-by-wire buttons to engage drive, reverse, neutral, and park, Hyundai freed up space in the center console for extra storage – something you’ll find in abundance throughout the cabin. There are even two cup holders in each door in the second row, which contribute to a quarter of the Palisade’s 16 cup holders. 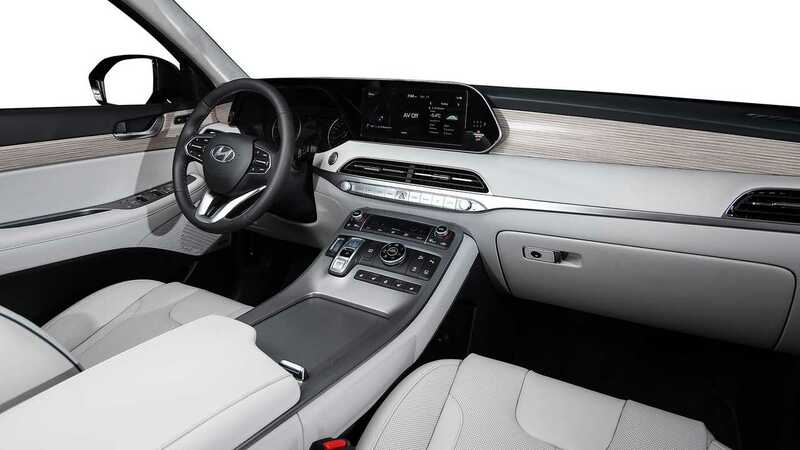 Passengers in the second row will also appreciate the USB ports behind the driver and front passenger seats, as well as their very own seat heating and cooling functions. Hyundai has looked to expand and modernize its lineup, and the Palisade will be a welcome addition. The second-row seats offer a 60/40 split (or captain’s chairs, cue heart-eye emoji) and can slide. Perhaps most relevant is the third row, which can accommodate adults and is easy to get into and out of. With a simple push of a button, the third row folds and slides forward. Once seated, there’s a push-button electric reclining feature. Headroom for all passengers betters that of the outgoing Santa Fe XL, and is comparable to the Honda Pilot. Hyundai has looked to expand and modernize its lineup, and the Palisade will be a welcome addition. When it arrives, the Palisade will be at least as good as anything in the class currently, and in this writer’s humble opinion, the most stylish. If nothing else, it will merit a test drive if you’re shopping the three-row crossover SUV segment.